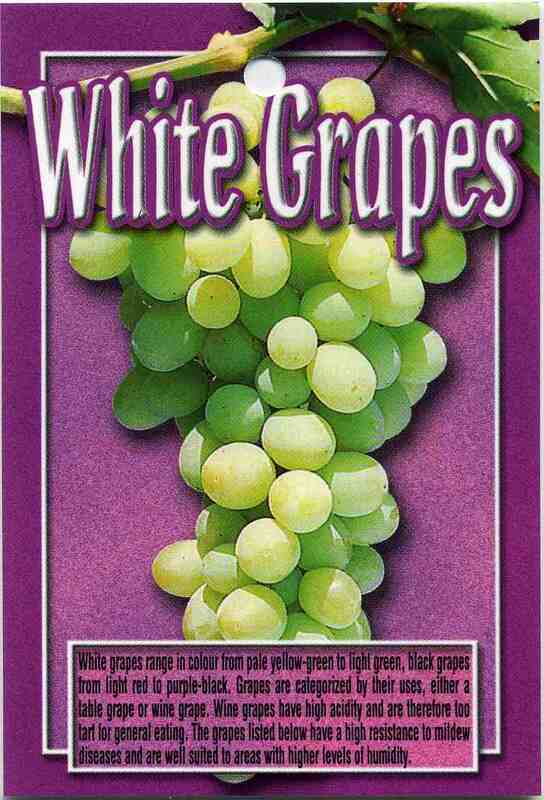 White grapes range in colour from pale yellow green to light green, black grapes from light red to purple black. 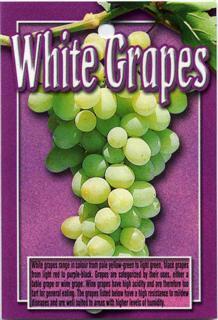 Grapes are categorised by their uses, either a table grape or a wine grape. Wine grape. Wine grapes have high acidity and are therefore to tart for general eating. 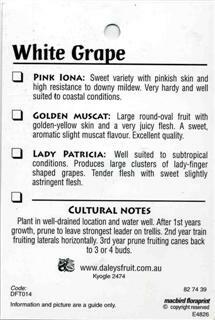 The grapes listed below have a high resistace to mildew disease and are well suited to areas with high levels of humidity. ﻿PINK IONA: Sweet variety with pinkish skin and high resistance to downy mildew. Very hardy and well suited to coastal conditions. ﻿GOLDEN MUSCAT: Large round-ova l fruit with golden-yellow skin and a very juicy flesh. A sweet, aromatic slight muscat flavour. Excellent quality. 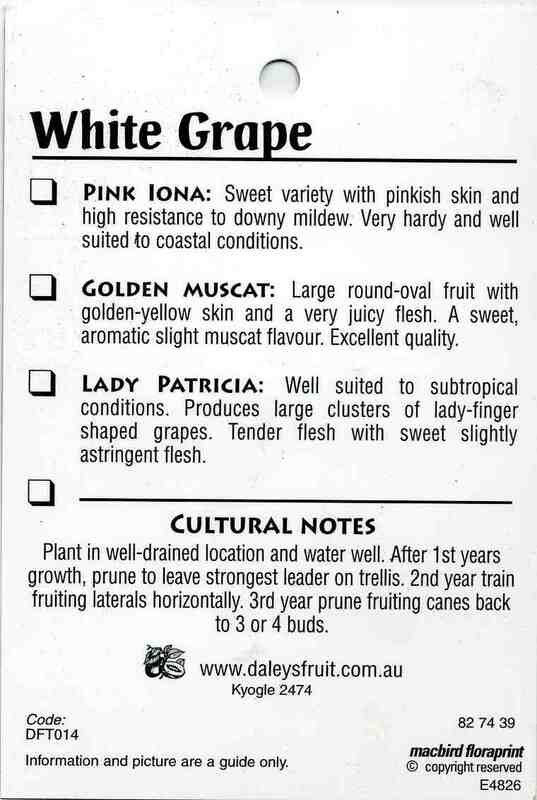 LADY PATRICIA: Well suited to subtropical conditions. Produces large clusters of lady-finger shaped grapes. Tender flesh with sweet slightly astringent flesh. Plant in well-drained location and water well. After 1 st years growth, prune to leave strongest leader on trellis. 2nd year train fruiting laterals horizontally. 3rd year prune fruiting canes back to 3 or 4 buds.